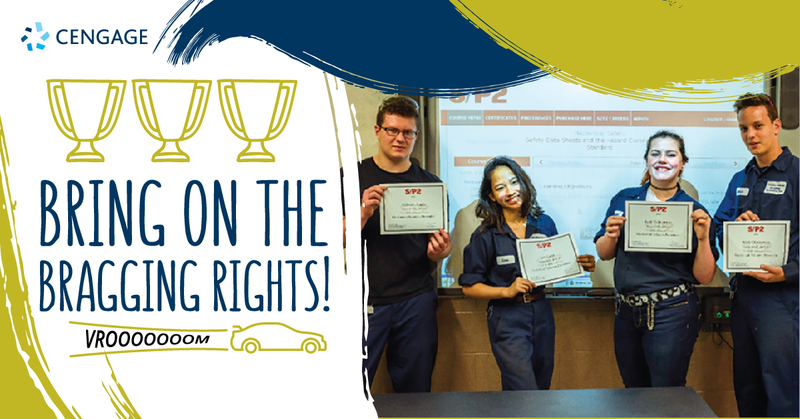 The race for top shop is in full effect and it’s your chance to submit your institution’s automotive lab to the Show Your Shop contest. This year, S/P2 is getting in on the action by partnering with Cengage, ASE, and TechForce Foundation to add to the scholarships students can receive! This is a great opportunity for automotive, collision, and diesel career tech programs to show off their shop and their students. Not only will this year’s grand prize winner receive our standard $1,000 Cengage TechForce scholarship and ASE Swag Bag, but the second-place winner will receive a $500 Cengage S/P2 scholarship to present to the student of their choosing. Check out last year’s winning submission from Westfield Technical Academy to see how it’s done and submit today!